For years, chemical weed killer has been a part of nearly everyone's lawn care routine. Products commonly used have ranged from pre-emergent crabgrass control to weed-and-feed fertilizer-weedkiller combinations, to broadleaf weed killer containing 2, 4-D, to the ubiquitous and controversial glyphosate (RoundUp)—killer of all plants. These harsh chemicals have become such a way of life that you can sometimes find entire neighborhoods smelling like 2,4-D after the lawn service has passed through. But growing numbers of people no longer want to apply chemical pesticides (which kill insects) or herbicides (which kill plant life) to their lawns and gardens, out of growing awareness of the negative, and sometimes devastating, effects on the environment and on the health of people and animals. In response, laws and regulations are evolving to reflect public pressure and the inherent dangers of these chemicals. Progress on regulation is somewhat more advanced when it comes to insect-killing pesticides. Proper study of the effects of plant-killing herbicides on the environment has been slower in the U.S., although other nations, especially Canada, have put forth restrictions on some of the herbicides used routinely in the U.S. So what is the rmost responsible way for an environmentally conscious homeowner to deal with lawn weeds? Organic weed control is not about treating weeds so much as it is about preventing them. A healthy soil leads to a healthy lawn that discourages weed growth. Weeds are opportunists and their presence usually indicates of an underlying problem. The presence of certain weeds can be signifiers of a deficiency in the soil or other issues which, once solved, will ease weed pressure. A thriving lawn is able to outcompete weeds and avoid weed infestations. When weeds do make themselves present, it becomes about tolerance and maintaining a manageable threshold. Then, if all else fails, a responsible homeowner treats the weeds with either an organic weed killer or by removing them by hand or with some other mechanical means. This philosophy is sometimes known as integrated pest management (IPM) and when practiced it is an effective way to deal with weeds and pests. There are more organic products on the market than ever, and as demand increases so does the effort to find more organic alternatives to conventional weed control. Non-selective organic herbicides can contain such plant-derived concentrates as clove oil and citric acid or acetic acid (vinegar). They are nearly as effective as their chemical counterparts, but they are organically derived and far less hazardous to people, pets, and the environment. Remember that such non-selective alternatives will kill all plants, even the grass plants in your lawn. But they can be an effective alternative to using glyphosate-based herbicides, such as RoundUp. There are thus far no alternatives to selective weedkillers, such as the broadleaf weedkiller 2, 4D, which is also found in most weed-and-feed type products. But organic science is progressing rapidly, and we may soon see an effective organic weedkiller that selectively targets broadleaf weeds while leaving grass plants untouched. 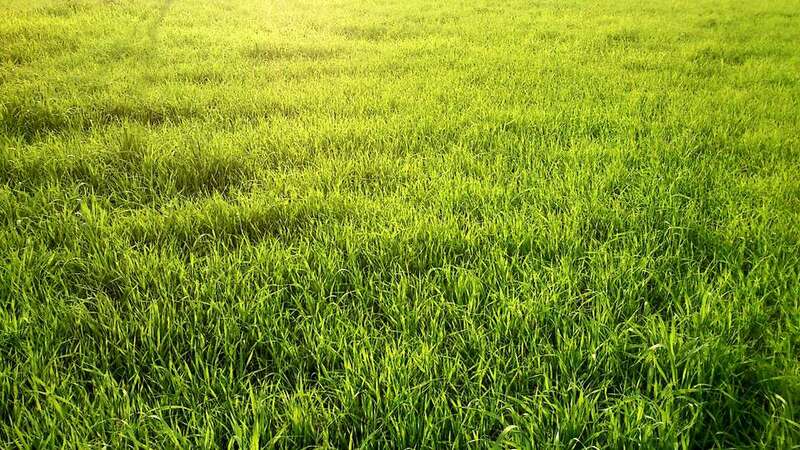 Corn gluten meal can be used as a pre-emergent herbicide for springtime crabgrass prevention, but it is required in such large amounts that it is not cost effective or particularly good for the soil. Sometimes the old ways are the best. Some weed-killing recipes have been handed down from generation to generation, making possible to eradicate weeds without ever applying store-bought chemicals. The most common homebrew using some combination of vinegar (1 gallon), salt (1 cup), and/or soap (1 tablespoon). There are numerous variations on the recipe but the resulting concoction is usually a pretty good non-selective weed killer. The acetic acid of the vinegar goes to work disrupting the cells of the plant while the salt desiccates the tissue, and the soap aids in allowing the mixture to stick to the plant. Its effectiveness can be improved with stronger vinegar concentrations—most store-bought vinegar is 5 percent acetic acid, but concentrations of up to 20 percent can be found. Plants with hairs or waxy coatings may not be completely eradicated by the vinegar concoction. Another popular home remedy is Ultra Dawn dish soap mixed with water used as a moss killer. Simply mix 4 ounces of Ultra Dawn dish soap with 1 gallon of water in a sprayer and apply to the moss; it will turn brown and die within a week or so. Moss can be tricky to eliminate, and the conditions causing its presence need to be altered, but with an old recipe like dish soap and water, moss can be dealt with safely and cheaply. The ubiquitous creeping Charlie (also known as creeping Jenny or ground ivy) is a stubborn perennial weed with a vining habit that can take over large areas of a lawn. You can control creeping Charlie using a mixture of water and ordinary household borax. First mix up 10 ounces of borax with 4 ounces of warm water into a slurry, then dilute this into 2 1/2 gallons of water. Apply this to the area of the lawn plagued with creeping Charlie. This mixture will cover about 1,000 square feet, so you can reduce the proportions for smaller areas. Some people report that this is a solution that can harm your lawn if it is applied more than once every two or three years. And be aware that the solution can also kill garden plants, so be careful as you spray it. One mechanical means of killing weeds is with a flame torch. A variety of long-handled tools are available that operate by means of a small propane tank that fuels a hot flame at the tip of the tool. By scorching lawn weeds with the flame, you effectively kill it, right down to the roots. You will need to be careful, however, since the flame will also kill any grass plants it touches. Some homeowners practice a similar technique using boiling water. Although it is regarded as hard labor by some people, one of the most effective ways to control lawn weeds is a truly old-fashioned way—removing them by hand. This can be a lot of work if your lawn is plagued by many weeds, but after doing it steadily over time, you will gradually find that weed infestations diminish as you remove weeds before they can bloom and set seed. Pay particular attention to removing weeds before they flower. The most common example is dandelion, which can scatter thousands of seeds if the pretty yellow flowers are allowed to ripen, dry, and set seeds. Perennial weeds will need to be removed right down to their roots—not plucked off at ground level. Fortunately, there are a number of weed forks or "weed popper" tools that make this work easier. Again, dandelion is a prime example of this kind of perennial weed—unless you remove its long taproot, a dandelion often regrows from the remaining root. Hand removal of lawn weeds is easiest of the lawn is well watered, so do this work immediately after a rainfall or after watering. One advantage of systematically removing weeds by hand is that it provides a means of aerating the lawn. An hour or so of weeding after every lawn-mowing session will pockmark your yard with small holes where the weeds have been removed, providing the same benefit as running an aerator machine over the lawn. Weeding by hand keeps you in close contact with the health of your lawn, and those who do it regularly often find that it is not much of a burden. It can also be a good way to keep kids engaged in lawn work. With the exception of weeding by hand, the truth is that most "green" organic weed killers currently available are not as effective as their chemical-based counterparts, but organic science driven by consumer demand could bring new, more effective alternatives. In exchange for a somewhat reduced effectiveness, organic solutions give you the peace of mind that comes from knowing you are not polluting the environment or creating health risks to your family and neighbors. For many people, this is all the motivation required. In the event that you do need to use traditional chemical herbicide solutions, it is common sense to apply them judiciously, by spot-treating weeds when you identify them rather than by dumping herbicides broadly over wide areas of your lawn. By applying such chemicals very carefully in a limited fashion, you will avoid large-scale pollution of your yard and neighborhood. Be especially wary of hiring a professional lawn service for weed control, as these companies are in business to work quickly by spreading large amounts of chemical in a hurry. Even companies that proclaim themselves to be "organic" or "green" may well be using excessive amounts of chemicals in their treatments. Does a Battery-Operated Lawn Mower Get the Job Done? What's the Deal With New Rules on Gas Cans?